A well organised and efficient administrative system is essential for the proper working of Government in any modern state. Any system however satisfactory cannot hold good for all time. It has to be reviewed periodically and remodelled to suit the changing conditions. The Administrative Reforms Commission is constituted to make recommendations to improve the efficiency of the State Administrative System. The Commission will review the structure and functioning of the administrative machinery of Kerala and suggest measures for improving its responsiveness, efficiency, and effectiveness as required for a welfare state. The Commission is entrusted to make suggestions in 13 core areas of Public administration. This ARC is the fourth one since Kerala state formation and is constituted with the Former Chief Minister Sri. V S Achuthanandan as Chairman. Timey revision of existing governance mechanisms and system is a necessity. Government policies had helped in establishing much acclaimed Kerala Model of development. Now it is to update the governing mechanism once more to reflect the times and expectations of the people. To review the structure and functioning of the administrative machinery of the State and suggest measures for improving its responsiveness, efficiency and effectiveness as is required in a welfare State. To revisit and redefine the roles of departments and important agencies in Government. To suggest measures for co-ordinated and joined-up functioning of Government departments and agencies to enhance positive outcomes. To suggest measures to eliminate delays, corruption, favouritism and nepotism and to make administration result oriented. To suggest steps for enhancing delegation of powers to increase efficiency and citizen satisfaction. To suggest modern management methods and Information Technology system and tools, which can be adapted in Government. To review the policies relating to recruitment, placement and promotion and suggest measures for improvement of the performance of civil servants. To suggest methods for democratization of different organs of Government at various levels and increase participation of the people in governance. To assess the delivery of key public services and suggest measures for increasing their efficiency. To suggest measures to refine/operationalize Gender Budgeting, Child Budgeting. To recommend modern fiscal planning tools like output and outcome based budgeting. To assesses the capacity building system in Government and suggest measures to make it more effective. To make any other recommendation arising from the above matters or incidental to them or considered necessary or appropriate by the Commission. 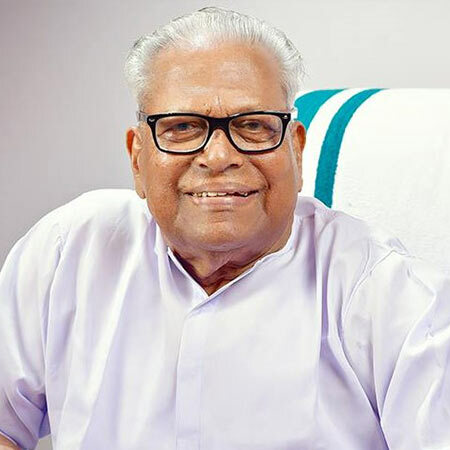 Velikkakathu Sankaran Achuthanandan ( born on 20th October, 1923) was Chief Minister of Kerala from 2006 to 2011. He was one of the founding leaders of the Communist Party of India ( Marxist) and was in the forefront of the Punnapra- Vayalar uprising and freedom struggle movement in the 1940s. While in office as Chief Minister of the State, Shri. V.S.Achuthanandan initiated action against encroachment of government lands in Munnar. He supported Free and Open Source Software ( FOSS) movement in the State. IT Parks in Kollam, Thrissur ( Koratty) , Alappuzha, Ambalappuzha, Cyber Park in Kozhikkode started functioning during his Chief Ministership in 2006-2011. Major developmental activities in Trivandrum Technopark and Kochi Infopark also took place in the above period. After serving as Chief Minister, he served as Leader of Opposition, Kerala from 2011 to 2016. 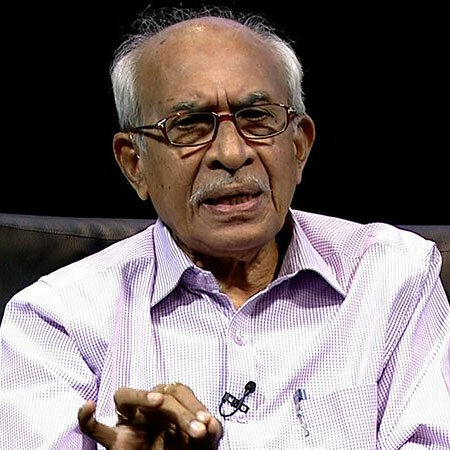 Chellappan Parameswaran Nair, 1962 batch IAS officer, former Chief Secretary to Government of Kerala , continues to be a student of languages. He is a prolific author and columnist. He headed the Committee to rewrite the half century old Kerala Education Act and Rules ( KEAR). He held the posts of Home Secretary and Labour Secretary in Government of Kerala. As Labour Secretary, he was instrumental in setting up of most of the Welfare Boards for workers. He also served as the Commissioner of Travanore Devaswom Board. Smt. Neela Gangadharan, IAS (Retd) is a 1975 batch IAS Officer of Kerala Cadre. She served as Chief Secretary to Government of Kerala and as Secretary in the Departments of Justice & Women and Child Development in Government of India. Prior to becoming Chief Secretary, she held the post of Home Secretary, Agriculture Production Commissioner and Excise Commissioner in Kerala. Her international experience includes serving as Minister ( Agriculture) in the Embassy of India in Rome, Italy and heading a unit of Food & Agriculture Organization ( FAO) , UN in Rome dealing with Agricultural policy support. She was the first Chairperson of the Kerala State Commission for Protection of Child Rights in Kerala. Smt. 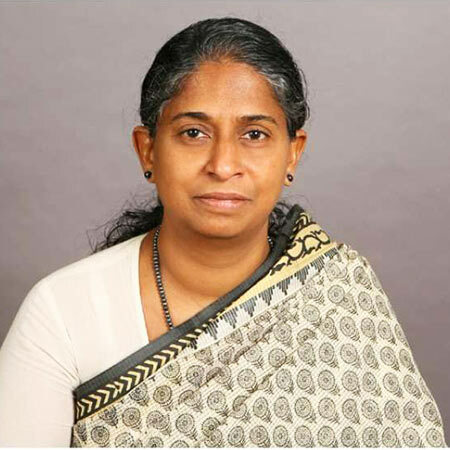 Sheela Thomas , IAS (Retd) is a 1985 batch IAS Officer of Kerala cadre. 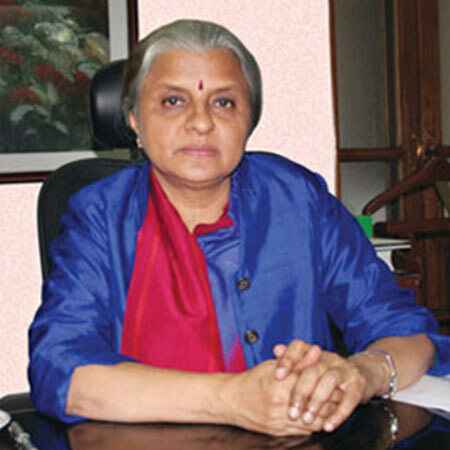 She was the Chairperson of the Rubber Board under the Ministry of Commerce & Industry, Government of India. She was also the Secretary General of the Association of Natural Rubber Producing Countries ( ANRPC) representing the Government of India. She was Additional Chief Secretary in General Administration Department & NoRKA, Secretary to the Chief Minister, Secretary in the departments of Agriculture , Co-operation, Food & Civil Supplies, Consumer Affairs and Modernising Government Programmes ( MGP) in the Government of Kerala.